You can have fun in many ways at the Woodbury Cowboy Jack’s. You can watch bros in pink tanks flail at volleyballs, you can sit on the patio and blow your e-cig smoke into the bar, and you can make out with a middle-aged woman while her mother watches in horror. Me? All I want is to come Wednesday nights and eat a $3 cheeseburger while I rack up Angry Birds stars. I don’t ask a lot of Cowboy Jack’s, but they always deliver. Got a slingshot handy? CAW! The Basics: Cowboy Jack’s is alive and well in the digs I once dubbed a restaurant grave, next to the Red Roof Inn, just south of the Valley Creek and Woodlane intersection. They’re backed by the After Midnight Group, and you can find their website here. Jack’s offers two-dollar sloppy Joes Monday nights; they’re a low-cost filler but I can’t recommend them as anything more than that. When it isn’t Wednesday night, you can find me sipping from a plastic cup and scarfing tater skins. Jack’s fathered my obsession with skins. They’ve also got good … I mean, it’s not like you can really screw up tater tots, but Jack’s makes good tater tots. The most important piece of information you need is that Jack’s flips two-dollar burgers* on Wednesday nights. That isn’t a typo. The asterisk means toppings are 50 cents extra apiece. I’ll get to this in a moment. The Woodbury Jack’s is a melting pot of the city’s nomadic sub-cultural packs. The bar counter and the barrel tables immediately close to it are a goulash of faux-hawked bros, tribal-tat-sleeved fashion bikers, camo hats, camo hoodies, E-cig smokers, and this one dork with his Angry Birds. Nobody looks normal in Jack’s. Even the World’s Least Interesting Man looks like something in here. It’s its own city. It’s a fascinating little habitat, about which I gather minimal data and go back to my pig-popping. Most times, I don’t even see the burger show up. It’s a sneaky good cheeseburger. Is it certified organic or locally-sourced farm direct? Who knows. Who cares? It’s two dollars, and it’s a cheeseburger. The vegetables are generally crispy, they don’t really skimp on the bacon, and it’s never undercooked or fried into a Frisbee. It’s hit or miss, and I’ve certainly had both, but even the misses are more like indirect hits. On a good night, it’s better than some $17 burgers I’ve had here; on lesser nights, it still beats most anything else you can get for that money past 6 p.m. If you put a slice of cheddar and bacon on it, you’re getting a poor man’s Perfect Burger for $3! The Perfect Burger is $14 and usually left out of happy hour pricing (they’ll announce half-off specials randomly); but is a Perfect Burger five times better than Cowboy Jackenstein? Not if you’ve got only four bucks, it isn’t. The servers aren’t overbearing. They don’t have time to be, but they’re by no means behind. The bartender asked how my food was twice before I could react appropriately (The Egg Defender levels are intense, okay?!) and my second drink was out just before my first was empty. 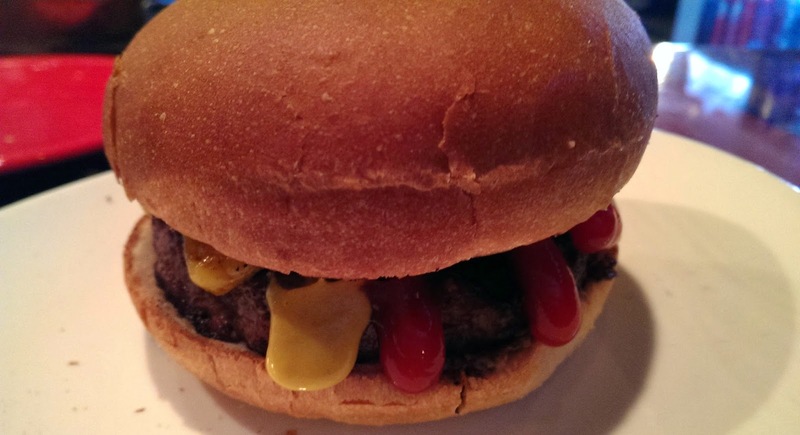 The experience of the Wednesday Jack’s burger is generally a satisfying one. Yes, you’ll occasionally have e-cig smoke drift into your face and you’ll occasionally roll your eyes at a studded Affliction tee, but you can’t blame Jack’s for their customers. The best thing you can do is ignore them, and I know just the thing to help you with that.